Runs offline when SAP not available and Synchronises when connection restored. Thermal receipt printing, A4 Laser and Matrix Printer Support. All Maeko Snap components are available to Maeko Connect. This allows RealTime integration of your SAP B1 system to eBay, Amazon, Magento websites, Concessions, Franchises and a number of Couriers. With the Bulk Order Processing component you can bulk process online orders producing picking lists, shipping labels and invoices at the touch of a button. OK guys get on your bikes and get on with this one. RSI Cycles sign up for a Magento integration to SAP B1. RSI are the exclusive UK agents and importers for some key brands in the competition cycling market. They are suppliers to some of the biggest names in independent cycle retailing. NuORDER is a cloud and mobile B2B eCommerce solution allowing retailers to operate more efficiently. We have just launched our full integration between Maeko Snap and the NuOrder API. This allows you to fully integrate NuOrder to SAP B1. Order processing, inventory and price updates and all the usual functions in real time. DHL on courier integration list. 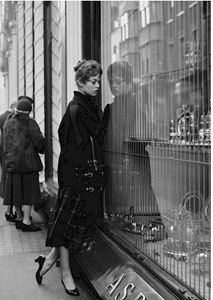 We have just launched our live integration between the Retail Pro 9 Retail System and SAP B1. This has involved developing custom plugins for the Retail Pro system and highly efficient cross platform integration between Retail Pro's Oracle 11g databases and SAP B1. Our first site client went live with 32 shops on the 1st of September 2015. If you need to talk about RP9 and SAP B1 call the dev team. Maeko Snap now has live connectors to Channel Advisor. Support for Multiple Countries and regions, Order Processing, Live stock and price updates and Cost price maintenance all directly to and from SAP B1. 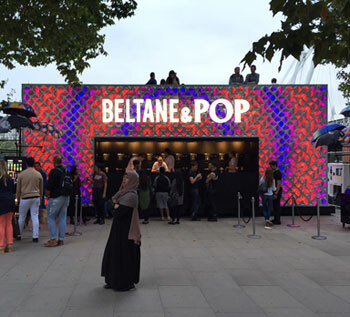 Beltane and Pop take you on adventures to wild and whimsical lands with their imaginative ice pop and slush flavours. Maeko Connect’s Custom retail system with a web management portal helps in the transportation process. Supertouch is a well renowned name in the UK Protective Workwear and Disposables Industry. Maeko Connect B2B Magento website integration to SAP B1 will allow SuperTouch to operate quickly and efficiently. 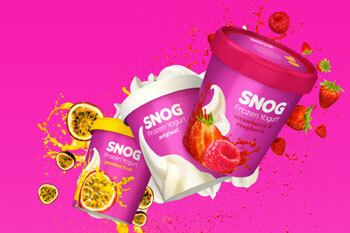 SNOG Frozen yogurt are now using Maeko Connect which now runs native on Microsoft Surface Pros enabling their clients to SNOG their Heart out! Asprey, founded in 1781 is a company which is renowned for the finest British luxury goods and bespoke service are one of our latest clients to sign up to SAP B1 Maeko Connect Epos. This is a worldwide implementation across the UK, USA, Europe and Japan for Maeko Connect. All staff members available for onsite support please queue up!! Back to School for our Programmers! Gogna Schoolwear sign for SAP B1 Maeko Connect Epos and Maeko Snap for their new website. Objective to deliver an up to date system to handle ordering and sales of packages of school uniforms. MaekoDove our Soap server for Maeko Connect and SAP B1 is now in ramp up. Do real time posts and reads from SAP B1 and Maeko HeadOffice from a standard broadband connection in seconds. This brings remote sites into your local working realm. Simply Pleasure Signed with Maeko Connect , Maeko Snap and SAP B1 V9.1 for their HeadOffice , Shops and Website Integration. For the grown ups among you google them. Thrilled we were chosen as the people that could do the job!! Texcraft Glasgow Signed with Maeko Connect, Maeko Snap and SAP B1 V9.1 for their EPOS , HeadOffice and Website Integration. 6 Locations lots of Units of Measure work! Project kick off January 2015. Texcraft have been supplying fabrics to a broad spectrum of sectors in the UK and overseas, including manufacturing, retail, hospitality, public and education for over 30 years. Chelford Farm Supplies Go Live with Maeko Snap integrating their Magento website in realtime to SAP B1 for Stock Control , Pricing and Order Processing. John Bull Confectioners signed up with Maeko Connect and SAP B1 V9.1 for their EPOS and HeadOffice. 20 shops full of candy and all sorts of goodies !! John Bull Confectioners is a family run business that was founded over 100 years ago where they continue to create amazingly tasty goodies and treats using both modern and traditional methods passed down the generations. Chelford Farm Supplies Go Live with Maeko Connect! Lots of EPOS and SAP B1 V9 real time integration. 3 shops and lots of custom functions. Established in 1975 and one of Cheshire’s largest farm suppliers, Chelford Farm stock a broad range of farming supplies to the agricultural community including dairy chemicals, medicines and machinery and Equestrian clothing, footwear, equipment and supplies. Influence Clothing sign up for Maeko Snap to integrate their new Magento website under development to their Maeko HeadOffice stock control system. Influence is a successful family owned business in the clothing industry. They design and manufacture high fashion products ranges including ladies, men's’ and children's’ clothing. All Maeko Snap components are now available to Maeko Connect. 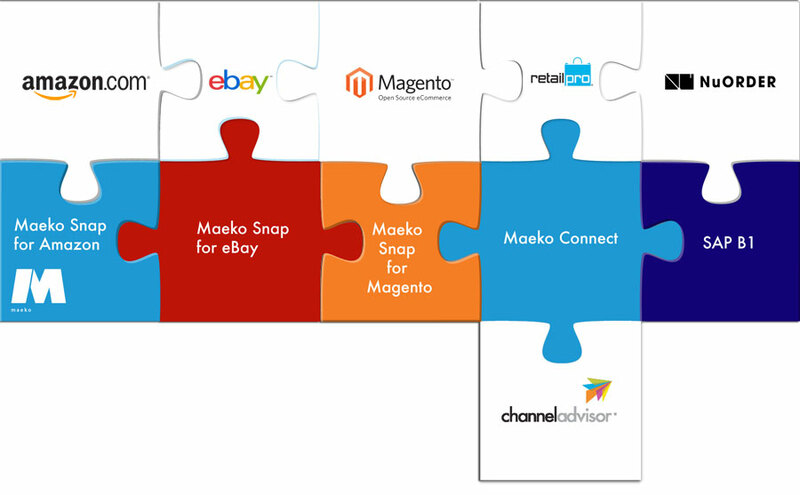 Maeko Snap allows RealTime integration of your SAP B1 system to Online Marketplaces. SAP Business One has been proven effective in the ERP Marketplace, and in the SAP ERP offering, SAP Business One fits into the ERP for SME (Small to Medium Enterprise) requirement very well. When it comes to decide on Inventory Software for inventory planning in an omni channel environment, then SAP B1 is ideal. SAP Business One with its numerous third party SAP add ons, gives you WMS (Warehouse Mangement Software) to manage your warehouse with bin locations. Overall for Retail management SAP Business One is a great foundation among various types of Retail Management Software available out there. Maeko Connect is a real time integrated SAP B1 add on that brings EPOS and all its functions to SAP Business One in Retail EPOS or Wholesale EPOS environments. So if you are looking for SAP Point of Sale Software then look no further and let Maeko Connect fulfill your POS requirements, whether it is Retail POS or Wholesale POS. Please feel free to contact us using this form and we will strive to answer your message as quickly as possible. Otherwise please use one of the alternative contact methods below.